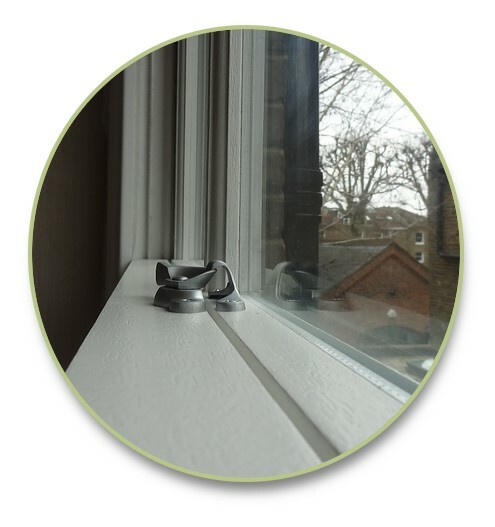 Mortice & Green provide wooden window and sash window repairs along with hand crafted reproduction bespoke double glazed hardwood replacement windows throughout all London regions including South West London. Having more than twenty years of sash window repair and replacement experience and being located in central London we are probably one of the best sash window companies in London to choose for your southwest London property. We have many satisfied customers in virtually all parts of southwest London so if you are looking for a professional, reliable and friendly sash window company in South west London you have come to the right place! With many local jobs carried out in this part of London we can provide you with excellent references from previous clients within walking distance from your location. A full list of all the postcode areas in South London we cover can be found at the foot of this page, we may also consider working even further if we are able to, give us a call for more information as we love to help! The south of London has been recognized for a number of cities each possessing a rich cultural past and developments that have contributed to the modern and functioning region it is today. The South west London includes a number of well recognized areas with an average population of 1.6 million people. Learn more about the rich history of the sub region of London and how its boroughs came into existence. London is a strong economic and functional country known for its modern business and streets lined with historical architecture that will take you back to another era. The south west parts consist of the London boroughs from Croydon, Sutton, and Wandsworth to Richmond upon Thames, and Kingston upon Thames. With its history dating as far back as the 17th century, there are many facets of this area that can be discovered and appreciated. Croydon is one of the larger and major cities in the southern region possessing a bustling economy, restaurants and a large number of shopping centers. The town was a part of Surrey initially occupied by over 300 people until the Middle Ages where it expanded and was known for the production of coal. In the early 1800s, the first railway station opened and soon the town became recognized for its industrial and manufacture sectors. It was in the year 1803 that the railway was first opened in Croydon and extended from the town into Wandsworth. Today, it is the origins of this extensive railway that has been incorporated as one of the main train lines in London. Only in 1965 did Croydon become part of greater London possessing superior rail and tram transport systems that are well recognized among the locals and travelers. The earliest history of Croydon reveals its ownership by the Canterbury archbishops during the Saxon period. It was the archbishops who took residence in this region and were well known to dominate the town with their influence still found in many of the unique church buildings that remain standing. The construction of the manor in the earliest part of the 1700s was occupied by the archbishops; however, a lack of care and general degradation soon took its toll on the so called palace. Croydon Minister received a complete renovation in the later 1840s having been designed by an architect Sir Gilbert Scott of the Victorian era. One can identify the historic richness and beauty of architecture from this period in many of the buildings that are still in use. In the 1880s, Croydon was officially recognized as a borough with measures taken to address slum areas after World War II an its focus on developing shops and its economy that remains its strongest feature. Wandsworth in the south west was occupied by the son of Ansculfy, who owned an extensive manor involving large farming and plough services. This borough is widely known for its background in brewing having produced traditional craft beers from as early as the 1580s. Horse drawn carriages would deliver large amounts of product between the local pubs contributing to its fast growth in the region and beyond. It was in 1834 that a major gas plant was constructed in Wandsworth close to the Wandsworth Bridge. It was this gas company that eventually grew to incorporate coal and after numerous expansions and mergers was recognized as being a part of south London. This major plant is still in use today although Wandsworth has been regarded as one of the smaller regions. Richmond is a borough that has been associated with the most influential and wealthy Jewish population and related members that date back to the 17th century. Having been described as one of the more appealing of places to take on residency, this region was largely occupied by Jewish persons who wished to escape from the hustle of work stress. The goal for the wealthier individuals in the country was to purchase properties close to the Thames that is located just west of Wandsworth. The result of a large Jewish community moving into the region was noted towards the 18th century where most lavish properties and extensive buildings were owned by the local Jewish merchants. The later 1690s saw the introduction of Solomon Medina who was a Jewish banker and possessed a deep admiration for the town making a decision to invest in Richmond. Others soon followed suit and more houses of aristocratic design and sheer luxuriousness were developed along the Thames. Soon Richmond saw the development of wells where the local affluent community would retreat to enjoy the pleasantries that were available. The creation of a spa led to an influx of Jewish men and women who were referred to as spa Jews because of their higher level and wealthy status. The sheer number of people who clustered in townhouses and remained for many years have contributed to the developments seen today around the Richmond bridge. The pressures of religion and specific requirements led more Jewish men and women to spread into the wider parts of the country. The major investments in this region led to its quick development and growing economy, but also reveals the expansion of many Jewish businesses in this region and beyond from the early 1800s. The area incorporates beautiful villas and establishments that are popular in modern society. The southern parts of London have developed over centuries having a strong religious theme extending from the archbishops and monarchs of Croydon to the Jewish leaders and businessmen of Richmond. An investment into these regions resulted in the expansion of the communities and the need for economic production to create a developing and self sustaining city. It was only in the late 1800s that many of these areas were recognized as boroughs. The south west of London played a crucial role in the development of its economy and the strong country it is today. The entire region was developed with investment in property and later business to sustain growing economic conditions. Many of the historical buildings and its architecture representative of the age it was built in, can be viewed in modern cities.